Robert Arthur Carney was born on October 1, 1935 and joined the Armed Forces while in Akron, Ohio. He served in the United States Marine Corps. In 16 years of service, he attained the rank of First Lieutenant. On December 3, 1968, at the age of 33, Robert Arthur Carney perished in the service of our country in South Vietnam, Quang Nam. 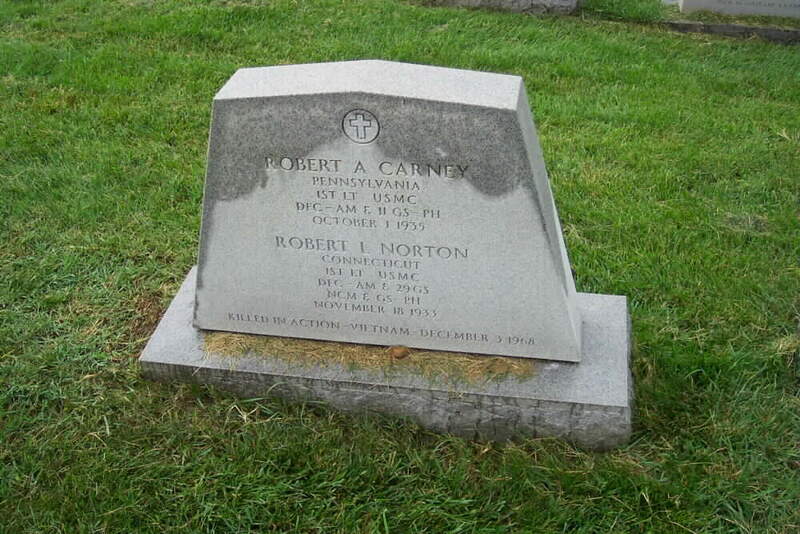 Lieutenant Carney is buried in Section 46 of Arlington National Cemetery with Robert L. Norton, First Lieutenant, United States Marine Corps, who was killed with him. Lieutenant Carney was the recipient of the Distinguished Flying Cross, twelve awards of the Air Medal and the Purple Heart.